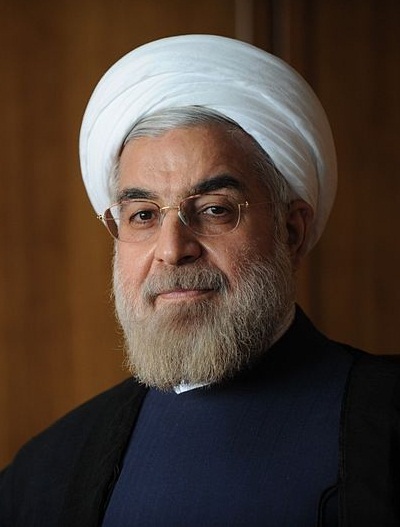 Iran’s Rouhani: ‘World Powers Surrendered to Iranian Nation’s Will’ – I Am Not Ashamed Of The Gospel Of Christ! My Comment: Iran has no desire to follow a world agreement, they have said they will continue business as usual, and remember they want Israel and the US gone. The world has bowed to Iran’s will? Sounds familiar doesn’t it? It’s in the Bible about the world bowing to an evil beast. Iranian president Hassan Rouhani is taking to Twitter to gloat about the nuclear deal his country struck with the U.S. and other Western countries. “Our relationship w/ the world is based on Iranian nation\’s interests. In #Geneva agreement world powers surrendered to Iranian nation’s will,” Rouhani tweeted about an hour ago. Full Article and original tweet: Iran’s Rouhani: ‘World Powers Surrendered to Iranian Nation’s Will’ | The Weekly Standard.